Morris Habitat for Humanity advocates for and builds decent affordable housing to enhance lives and strengthen the community in partnership with volunteers and families in need. Through volunteer labor and donations of money and materials, Morris Habitat for Humanity has been helping the community by building and rehabilitating houses in partnership with families in need in Morristown, Randolph, Harding, Mountain Lakes, Parsippany and the rest of Morris County. 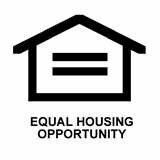 Habitat houses are affordable because there is no profit included in the sale price and no interest is charged on the mortgage. The family’s monthly mortgage payments go into a revolving fund which is used to build more houses. In the next four years we plan serving over 200 families through new and rehab homebuilding, home preservation and international homebuilding programs. Our volunteer visits will see over 45,000 and our Restore activity will keep another 3000 tons of reusable items out of landfills and provide funding to support our overhead. As advocacy increases, so will the evolution of families becoming homeowners, transforming communities and the economy in an upward direction. We are currently using a software developed by NeighborWorks, Success Measures, designed to measure community development impact to report metrics annually. Morris Habitat is helping the community by enabling families to have access to affordable homes in a county where rents and home prices are high and continue to escalate. Living in Morris County, one of the nation’s wealthiest counties, is an unreachable goal for most low and moderate income families. These families must earn at least $25 an hour simply to afford rent on a 2-bedroom apartment. Therefore, individuals who work in Morris County supporting our businesses, hospitals, and retail stores are unable to live in the area. Through Morris Habitat, some of these families are able to realize their aspirations of owning an affordable home in the county where they work. 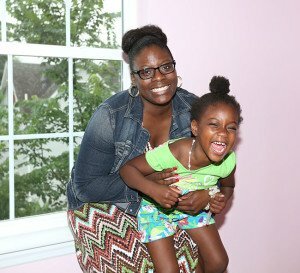 Morris Habitat building projects impact real families whose lives are transformed through affordable homeownership. Many of the families we serve report enhancements in their lifestyle, family dynamics, and the health and school performance of their children. This is supported with studies that show that the benefits of homeownership directly affect a child’s future: The stability of homeownership impacts children’s ability to perform better in school. Morris Habitat’s work builds more than just a home; it enables families to feel secure and stable so they can focus on their work, their families, and their children’s education. In addition to building homes, MHfH provides home repairs for property owners whose income is too low to allow them to hire contractors. Our repair service allows these homeowners to continue to live in decent affordable homes. This program allows us to expand our impact by improving the living conditions of a large number of people in the community. The profile for qualified applicants for our repair program is: a) elderly and/or with physical limitations; b) low income and can’t afford contractor prices; c) may have been cited for zoning violations and are at risk of being ordered out of their houses. Morris Habitat has one of the most active volunteer programs in the area, involving members of the community in working together for affordable housing. Our Volunteer Management staff recruits, schedules, and trains volunteer groups and individuals to support every building project. Thousands of skilled and non-skilled volunteers perform a variety of tasks both on-site, at our offices and in our ReStore. Morris Habitat provides volunteers with meaningful experiences that impact them positively on an individual basis and create bonding experiences among groups of volunteers. Our research surveys show that over 20% of our volunteers have been with us over 5 years and that 98% of those responding would continue volunteering with us. Further, 100% said they would recommend volunteering with us to others! Because our volunteers feel good about their contribution to the community and their Morris Habitat experience, they keep coming back to volunteer again. We frequently arrange to have groups of volunteers work on building projects and in our ReStore together – church groups, corporations, synagogues, and more. These volunteers often remark not only about their memorable volunteering, but also about building camaraderie with their co-workers and peers. We also have families that volunteer together – parents and children working together side-by-side to build a home for another family in their community. Many report that their volunteering for Morris Habitat has become a family ritual with a profound bonding effect. Lastly, we successfully collaborate with Workforce New Jersey, schools for special needs students and others, to provide low-skilled, undereducated, and unemployed people with meaningful steady volunteer work while they look for a job. Morris Habitat’s volunteer program provides a disciplined environment where they can build important skills that make them more employable, with a respectable work reference. Our building projects positively impact the economy in Morris County. Morris Habitat’s Construction Team secures materials and contractors for home-building and seeks local products and services whenever possible. Our ReStore, a retail outlet selling donated new and gently used furniture, appliances and building supplies, benefits the community by providing lower-cost items for sale, and the environment by keeping items out of landfills. We also collaborate with social service agencies, donating a portion of our goods to their clients. The ReStore has a positive environmental impact by encouraging “reduce, reuse and, recycling.” Donations to the ReStore have annually kept over 700 tons of usable building materials, furniture and appliances out of landfills. Morris Habitat helps reduce the community’s carbon footprint by incorporating green building practices in construction. Whenever possible, our homes are built with recycled building materials and feature energy efficient lighting and heating. All of our homes are Energy Star certified and while not officially LEED certified, our homes are built to LEED standards at the Silver level.